Tony Bellew delivered once again. Last night, in his grudge rematch with David Haye, “Bomber” both lived up to his nickname and his pre-fight promise of “ending” David Haye. Bellew said he would finish off Haye’s career and with his crushing fifth-round KO win he surely did just that. 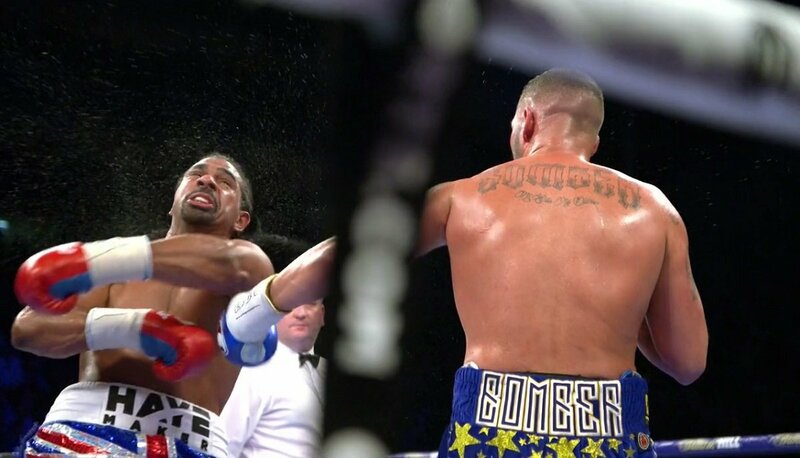 Bellew, showing fast hands, accuracy and power, was way too good for what we must accept was a “shot” Haye. There surely is no way back for Haye now. But the Bellew story continues; the Bellew heavyweight story. He’s had just two fights at the weight, both stoppage wins at the expense of Haye, yet Bellew has made £millions. He wants more. Bellew, a huge star in the UK, wants further challenges as well as further big paydays. Is he too small for the giant heavyweights – Tyson Fury, Anthony Joshua and Deontay Wilder? One would certainly think so, but write off Bellew, a genuine fighting man, at your peril. The only losses Bellew has suffered came down at 175 pounds (and how on earth did he make light-heavyweight!) and he seems a different animal entirely as a 210 pound man. So what next for him? Bellew has two names at the top of his list: Tyson Fury and the recently retired Andre Ward. Ward, who hinted that he might be considering a return up at 200 pounds or so recently (having bulked up to around 199 “solid” pounds) may or may not take the bait. It would be an interesting fight for sure and if Bellew did manage to cap his career with a win over the unbeaten former pound-for-pound king, well, even more kudos to him. A Bellew KO win would be a real shocker. But what if Bellew took on the 6’9” Fury and actually beat him!? “When you see who Tyson Fury fights over the next three or four fights, he won’t go near Tony Bellew,” Hearn stated. Fury, avoid Tony Bellew? Ward, ignore the challenge Bellew has set him? Who will rise to the challenge and face Bellew next! You are here: Home / Boxing News / Bellew “ends” Haye – will Andre Ward take the challenge and come out of retirement?